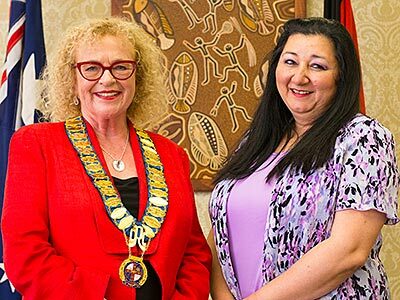 Randwick Council has elected a female Mayor and Deputy Mayor for the first time in the Council’s 158-year history. Greens Councillor Lindsay Shurey is the new Mayor and Labor Councillor Alexandra Luxford is Deputy Mayor following the Council’s first meeting for the term held tonight Tuesday 26 September 2017. The all-female leadership team is a first for the Council with Mayor Shurey also being the first female Mayor in the past 21 years since Margaret Martin in 1996 and only the second in the Council’s history since 1859. “This is truly an honour and a huge responsibility,” said Mayor Shurey. “Having two women in leadership roles is ground-breaking, and I believe the increased number of women on Council will result in a greater diversity of views and opinions. This will ensure that all voices within our community can be heard and represented. “There is so much I can and will do as Mayor, particularly in the areas of sustainability, transport, environment and equality. “I look forward to working closely with Cr Luxford as Deputy Mayor and congratulate her on her appointment. Her election as a Councillor marks another historic milestone for the Council being the first father – daughter Councillor combination following in the footsteps of her father, former Councillor and Mayor John Procopiadis. 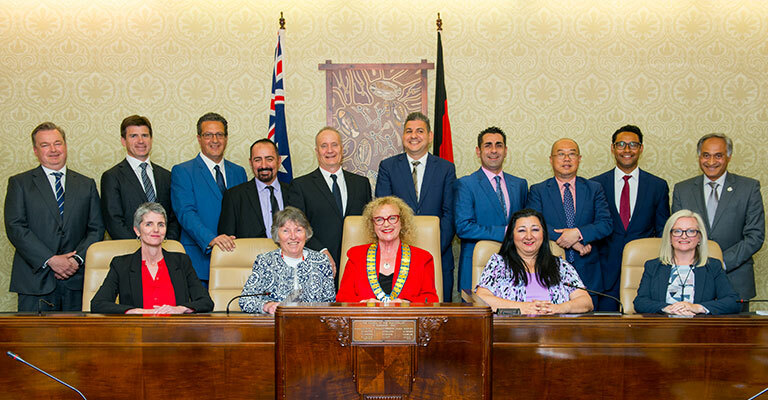 Randwick Council includes six new Councillors who join nine re-elected Councillors. From left to right, top row: Tony Bowen; Brendan Roberts; Danny Said; Carlos Da Rocha; Murray Matson; Anthony Andrews; Harry Stavrinos; Ted Seng; Dylan Parker; Noel D'Souza. Left to right, seated: Philipa Veitch; Kathy Neilson; Mayor Lindsay Shurey; Deputy Mayor Alexandra Luxford; Christie Hamilton. The number of female Councillors has risen from two to five – the most ever in Council’s history. Councillors will serve a three-year term, from 2017 to 2020.